What will you hear when your world is silent? I am enjoying the silence knowing that wonderful messages do come to me moment by precious moment. All I need to do is be silent and listen. 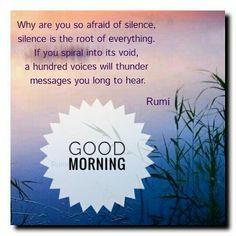 What will you hear this morning in the silence? This entry was posted in A message for this morning, White Eagle and tagged Good Morning, silence. Bookmark the permalink. ← What will you do to shake the world?